Following a successful event at the Seventh Session UN-GGIM in 2017, the UN-GGIM Academic Network will hold a forum with the theme, ‘The SDGs Connectivity Dilemma: Urban Settlements, Resilience, and Sustainability’ with support from UNGGIM Private Sector Network (PSN) at the Eighth Session of UN-GGIM at the UN Headquarters in New York on 30 July 2018. In continuation from last year’s forum on ‘Secure Land Rights and Smart Cities – Making It Work for Sustainable Development’ and the discussion on urban challenges, the UN-GGIM Academic Network will focus on the urgent demand for safe, sustainable, and resilient urban communities and settlements with particular emphasis on the SDGs. Cities and urban areas are growing in an era when communities and their various challenges are inter-connected across different domains and jurisdictions. Academics and practitioners working towards sustainable development must understand, analyse, and utilise the linkages that drive social, economic, and environmental systems. Moreover, understanding the interdependent existence of people and the space they inhabit is determined by the availability of data, namely geospatial data. This level of connectivity at local, national, and global levels shapes future urban forms, while the unavailability of, and inaccessibility to spatial data will cause urban development to lag far behind the required pace and quality. Therefore, the lack of a comprehensive spatial data ecosystem can impede the process of strengthening community and infrastructure resilience, prevent protection of social and environmental sustainability, and narrow the development gap. The spatial expansion of urban settlements and the rapid growth of urban populations demand adequate methods for advancing urban services, infrastructures, mobility, and governance. According to UN-Habitat, the area occupied by cities are estimated to triple while the number of urban residents will double by 2030. Thus, resilience and sustainability are critical determinants of long-term impact that will emerge from future development projects to drive even urbanisation. The SDGs aim to foster efforts to strengthen the resilience and sustainability of communities and cities, however, impeding factors, such as natural disasters, socio-political conflicts, climate change, and economic shocks increasingly expose urban communities and settlements to complex social, economic, and environmental vulnerability. 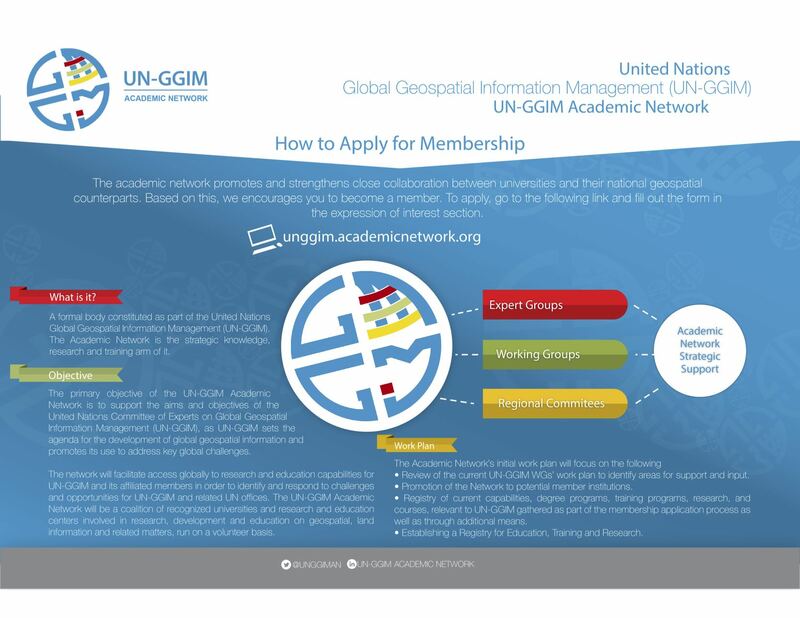 As a result, the Academic Network Forum will focus on the role of geospatial and land information in developing strategic pathways to improve resilience, examining geographic factors of inequalities, and identifying the requirements and enabling tools for achieving the SDGs. The role of geospatial technologies and platforms has not been sufficiently accounted for in the implementation of the SDGs, namely in the area of urban resilience. Geospatial data, infrastructures, and systems can help stakeholders and decision-makers effectively manage and analyse the distribution of urban needs and align sustainable development investments with local demands. The integration of geospatial and statistical information in the urbanisation process can inform and balance the spatial distribution of settlements, infrastructures, and services, and strengthen the capacity of development to adapt to changing circumstances. Within this context, this Academic Network Forum aims to discuss the connection between urban settlements, resilience, and sustainability. Present and develop roadmaps for a more sustainable and resilient future for all, particularly in light of growing disaster risks.